You have to get reeeaaallly deep into the twist and bring your thigh pretty much onto your elbow before taking your head off the mat to look forward on this one. Let me know how it goes! Loving the yoga knowledge? Subscribe for FREE to receive updates! Hi all! I'm finally getting back to blogging after being away. This is going to be a new segment I'm starting to share some of my go-to moves. Some people ask me how I can change up my yoga classes on the fly or take requests and still make the class work. Part of it is that I have some go-tos that I've found over years of teaching. Hopefully, I'll be able to share some with you. Let's take a look at prepping for Svarga Dvidasana (Bird of Paradise) for the first of this series. A summary video is at the end. Happy New Year! I'm starting a new series of posts/videos in 2015 called Asana Challenge. We all need a little push toward growth at times, so here's the first of what I'm challenging myself with this year. Join me and give it a shot or find inspiration for something different to try. Most importantly, have fun! A big part of yoga asana is definitely to restore and take care of the physical body, and supine twist with this gentle assist will provide just that. After several days of intense yoga teaching, Ashley Kohler was the perfect Yogigal to receive a little pampering in this video. How's the rhythm in your hips? Lumbopelvic rhythm sounds like something you need for dancing. It sort of makes me think of Elvis... While we're not exactly talking about the pelvic gyrations of Elvis, your low back and pelvis do have some rhythm and dance with each other. 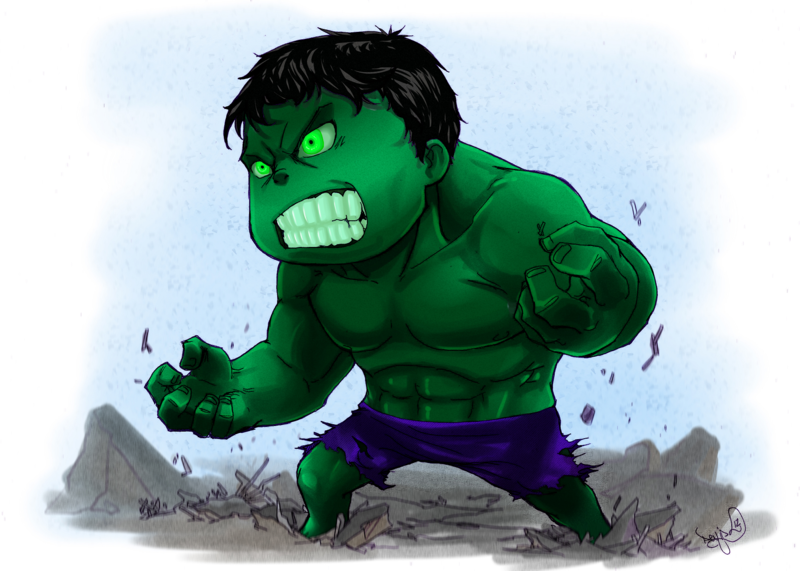 The world can be tough and stressful place that causes us to "hulk out" sometimes. If you're not familiar, the Hulk is a comic book hero who is a genius scientist that turns into a huge, monsterous rage machine when he gets overly stressed or irritated. He then goes about wreaking havoc and destroying everything in his path. Maybe that sounds familiar to you sometimes? The good news is yoga can help! Let's look at how a little yoga knowledge can soothe your inner Hulk. I'm often asked how to do a simple adjustment that I use to reduce sassy hips in virabhadrasana II (warrior 2). Check out my post about sassy hips if you're not sure what I'm talking about. This is a common warrior 2 misalignment that I used to see constantly in some of my regular students. One day I thought, "Ok, this needs to change!" and just grabbed one of my students hips and twisted sassy-ness right out of them. That was the birth of the sassy hip adjustment. Over time, I've refined this adjustment a bit, so check out the video of the current version below. Have you ever seen a hiked up back hip in Virabhadrasana II (warrior 2 pose)? I call it the "sassy hip" because it has some life and attitude. It pops up like the hips of a runway model taking a stroll down the catwalk. What's going on with these sassy hips in Virabhadrasana II? Let's take a look at the anatomy behind it.